Which came first, the Eagles or RPM? Inspired by the Oscars that were to be awarded in March 2006, Prof. Angelus Darklost thought that the Ravenclaw House should have its own Oscars. Some awards he suggested were "Best Use of Prefectly Power," "Best Stereotypical Ravenclaw Moment," and "Best Overuse of Muffins." Different names for these Ravenclaw Oscars were tossed around, including Stuarts after Ravenclaw's long absent House Ghost. In the end, the Eagles just sounded perfect. The next year, in 2007, March was about to come around again. The Eagles were a hit the year before, but Ravenclaw staff wanted something more. It was decided to have a month-long celebration of being a Ravenclaw. 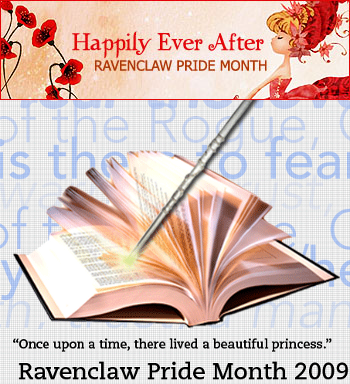 Thus, Ravenclaw Pride Month was born! 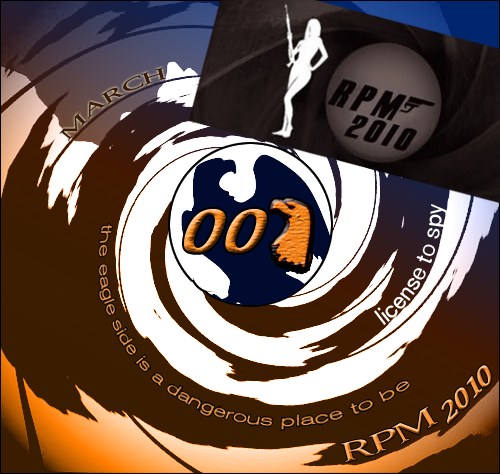 To continue with the original Oscar idea, the theme of RPM 2007 was movies. There was an icon and motto competition. The winning motto - Our brilliance shines as bright as the stars - was submitted by Jenna Hathaway. Throughout the month, eagles were invited to write their own movie scripts, dress in Ravenclaw colors, and go on a puzzle adventure. In 2008, eagles decided to leave movie stars behind and reach for real stars! The theme for RPM 2008 was Space. Unfortunately, two of the main organizers had issues in RL, but other prefects stepped up to help out to keep RPM alive. Tasks included the icon and motto competition and constructing Rowena Ravenclaw's diadem. 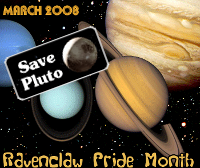 Prof. Ulol Kimil was also quite adamant about saving Pluto. Eagles were transported into a fairy-tale setting for RPM 2009. Ravenclaw Bachelor ran during the month too, giving all Ravenclaws plenty of fun to partake in! Classic fairy tales were re-told using Ravenclaws and a challenging puzzle quest was given. Prof. Ulol Kimil was even turned into a frog and contestants had to figure out how to turn him back into a...king! Bachelor held true to the prince/princess theme and Princesses Ruby and Alpha Leonis Virgis won their Prince Charmings! 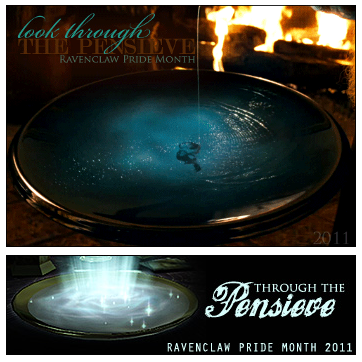 Ravenclaw Pride Month in 2010 was a sneaky matter. In Spy vs. Spy, all contestants had to prove themselves worthy of the title "Top Spy". Activities might have included the kidnapping of another Houses' best member, creating a eye-stopping advertisement for your spy agency and a search for missing House awards! I cannot confirm or deny that any of this happened, of course. Miss Jenna Hathaway brought home the Top Spy award! 2011, in keeping with HOL's 10th anniversary, took us eagles on a trip down memory lane. With trivia tasks, an assembling of a time capsule and memorable quotes from our lovely Alte, old and new Ravenclaws alike learned something this past March. Kirra Rohan, first-year wonderchild, was the only eagle to complete every task. Those prefects involved in organizing and running RPM always do a fantastic job which is the main reason Eagles look forward to our celebration of us every year! So... is it March yet? ?